Preorder before June 30 and I'll sign your copy when I'm at PulpFest 2014 / FarmerCon IX! Your copy will then ship immediately thereafter! If you loved Pat Wildman Vol. 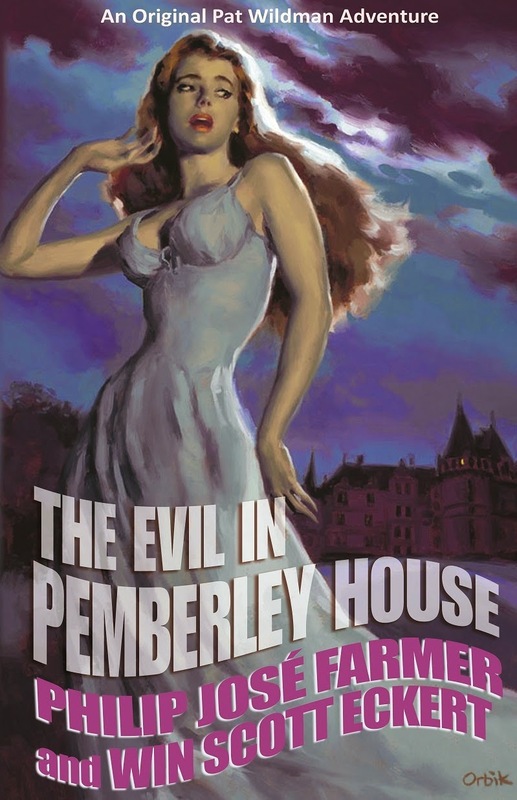 II: The Scarlet Jaguar, but haven't read Pemberley House, this is your chance to catch up! Or, if you missed out on the bonus materials which only came with the super-pricey "numbered edition" hardcover in 2009--again, this is your chance to catch up!